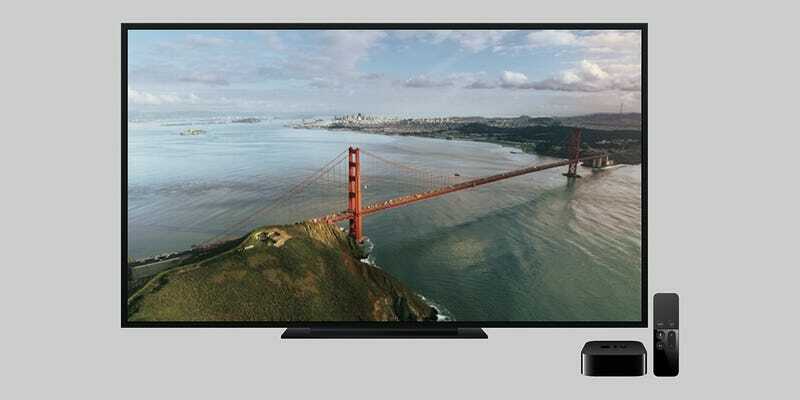 If you’ve grabbed one of those shiny fourth-generation Apple TVs then no doubt you’ll be enjoying the looping video wallpapers that come with them—professionally shot clips of famous vistas that change with the time of day. For those without an Apple TV but with a desktop or laptop, there is a way to get the same wallpapers on your computer. We’re indebted to intrepid coders John Coates and Dmitry Sadakov for these Aerial screensaver packs, which essentially pull the official graphics from Apple’s servers and make them work with either Mac OS X or Windows. Each download page offers instructions for applying the screensavers, so you should be able to get them up and running without too much trouble. Once installed, Aerial should appear as a screensaver option: Look under Desktop & Screen Saver then Screen Saver in System Preferences on a Mac, or in Windows right-click on a blank part of the desktop, pick Personalize and then select the Screen Saver option at the bottom. Head into the screensaver settings if you want to specify which wallpapers to use or if you’d like to have different ones on different monitors. The Mac version was the first to emerge and as a result it’s slightly more advanced—the beta edition of the screensaver includes support for offline caching, for example—but both offerings work well and look great on high-resolution displays. Let’s just hope Apple doesn’t cut off access to the original wallpapers on its site.